The incredibly long spill of water over the top of Grand Coulee Dam came to an end sometime during the night. Now the Dam is silently spectacular. Plus, locals like me can now hear the other sounds of summer– lawn mowers, planes, kids heading to the corner store. 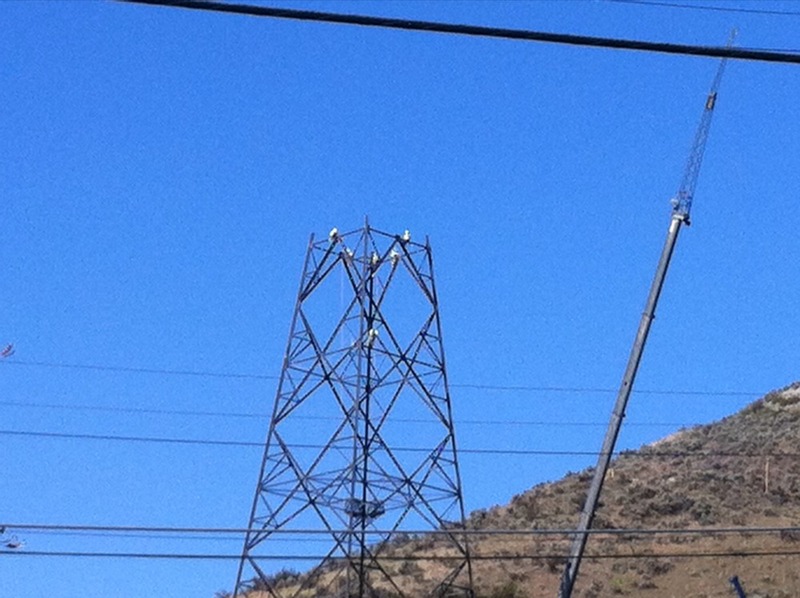 And if I really listen, I can hear the guys hanging from the emerging new power towers as they yell to each other. This entry was posted in Latest News and tagged coulee dam, grand coulee, Grand Coulee Dam, Lake Roosevelt. Bookmark the permalink.